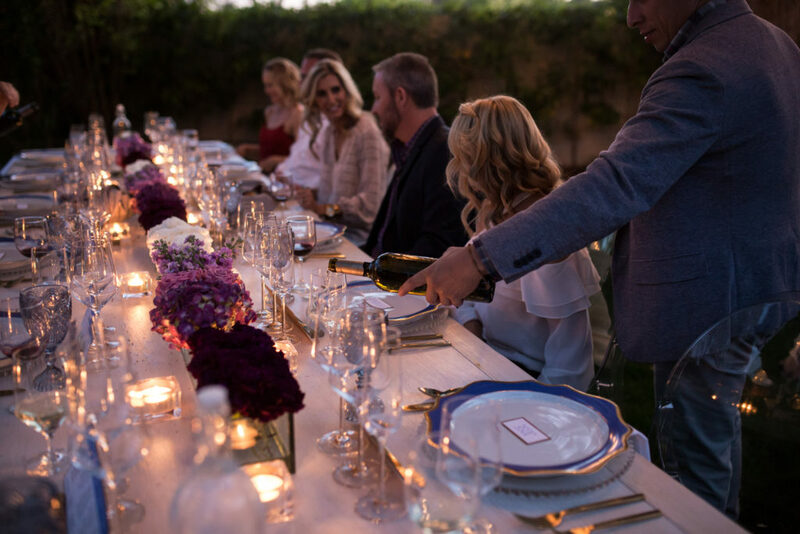 When my husband was approached by one of his favorite Napa wineries to host a wine dinner at our home, he jumped at the chance. 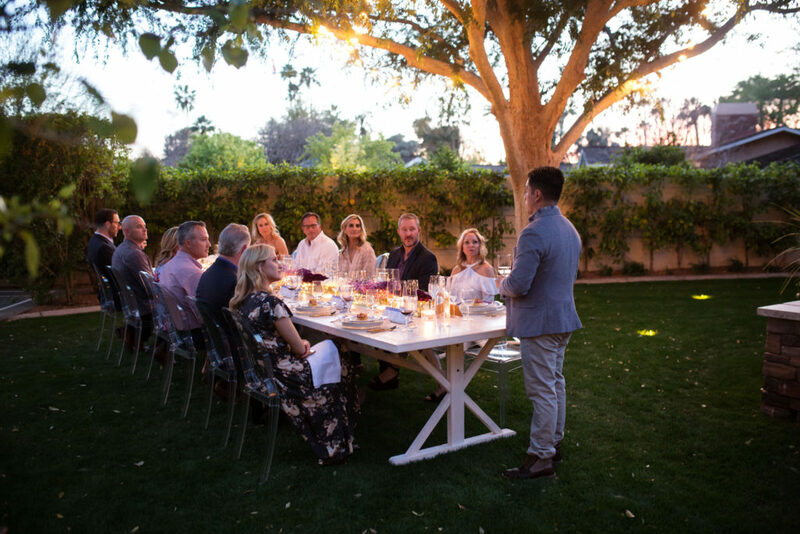 And of course, I naturally saw the opportunity to plan and share a backyard wine pairing dinner with our dearest friends: it was a mutually beneficial event! 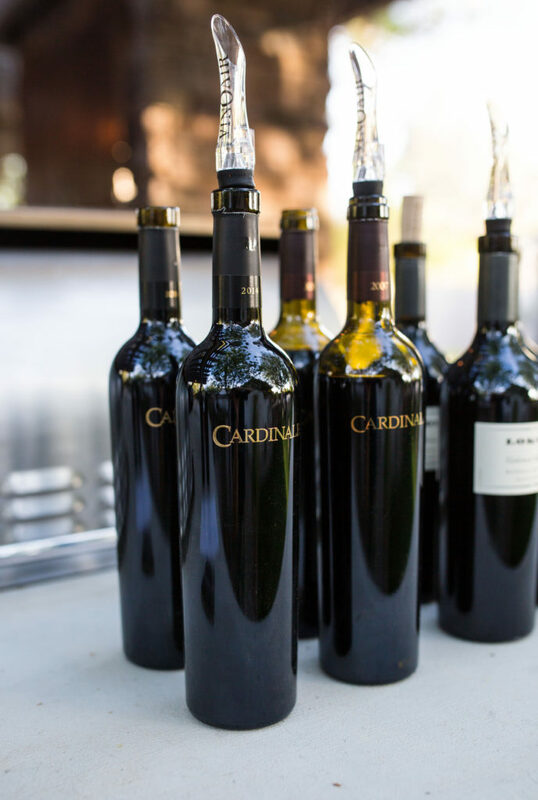 Lokoya and Cardinale wineries, part of the impressive Spire Collection from the Jackson Family Wine Collection, and brainchild of genius winemaker Chris Carpenter, were the generous providers of our wine for the evening. They flew out a case and a half of their wines, including a special library vintage, and we provided the drinkers of said wine (of which there was no shortage). Jose Tenerio of Lokoya, worked very closely with our caterer to ensure that the wines were paired perfectly with each course. 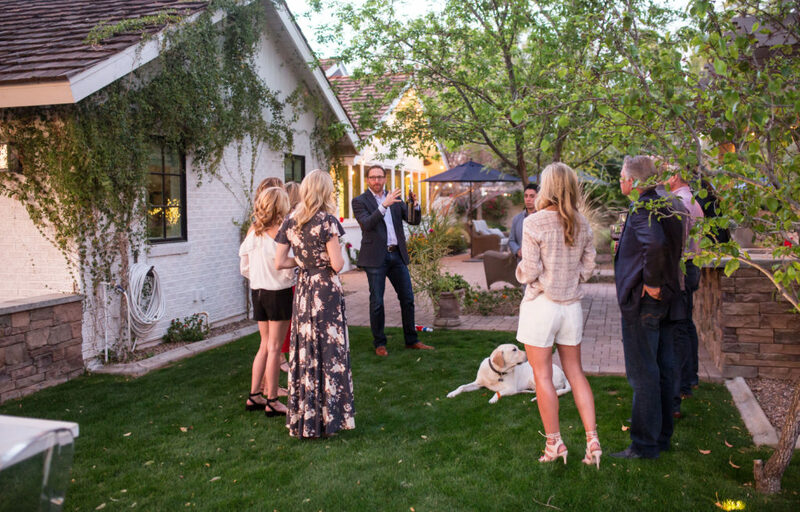 I left the food up to the pros for this one — preparing, cooking and serving a six-course meal for a party of 12 is a lot of work! Plus, I wanted to enjoy myself, so decor was my only job for the night. 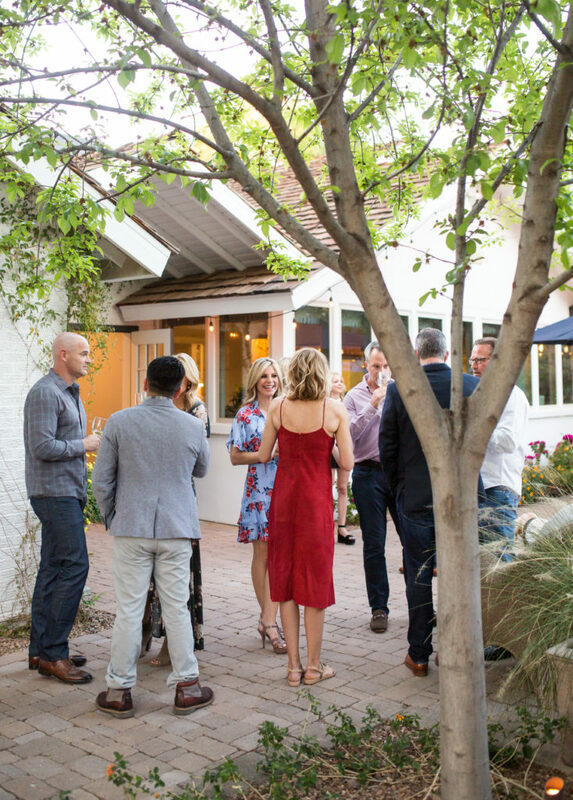 Here in Phoenix, we are lucky enough to have the most fabulous party rental company — Event Rents. If you live in Denver, consider yourself just as lucky because they have a location there too. 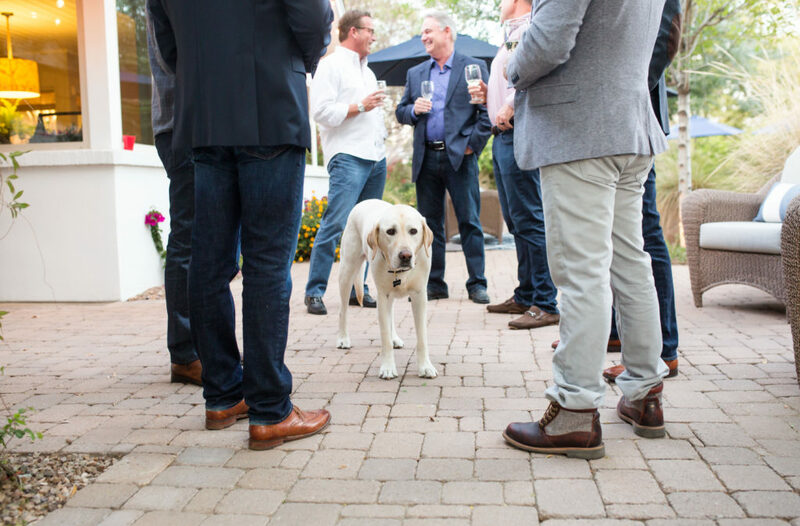 I collaborated with them to provide the tables, chairs, flatware, glasses, and stemware for this event. Their inventory is insane and so well-cared for, you will never see a scratch or dent in any of their products. 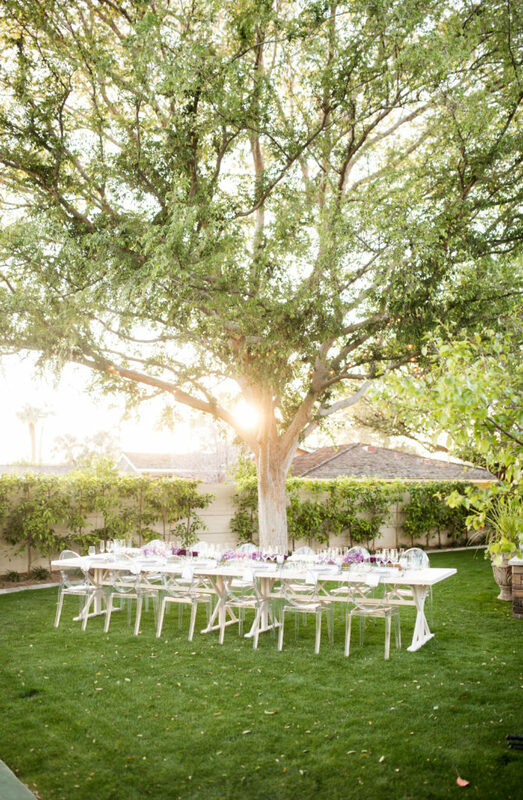 After a super fun visit to their showroom, we selected their 8-foot whitewash wood tables, which lent themselves beautifully to the backyard setting. For the chairs, I really wanted a mix of modern and rustic, so we chose these clear mirage chairs. I absolutely love this eclectic look! I mean, would you look at this dog? He’s holding my hand! Does anyone else request place settings as gifts? These were my Christmas present from my husband! Scalloped and rimmed in gold, this dinnerware set from Anna Weatherley comes in a range of gorgeous hues. I selected indigo, because I thought it was so versatile. Glass beaded chargers, which were already part of my entertaining arsenal, provided the bottom layer of this fantastic stack of plates and tied in seamlessly with the clear chairs. 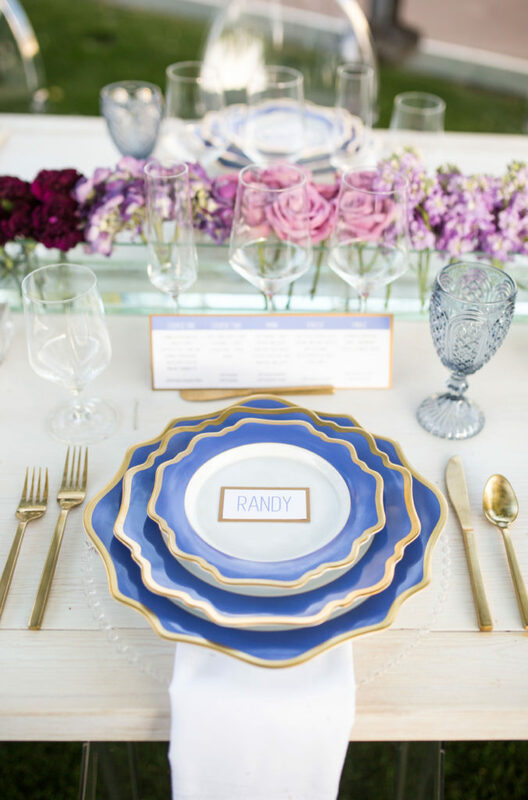 Antiqued brushed-gold flatware and blue-tinted water goblets from Event Rents were the perfect compliment to my setting. 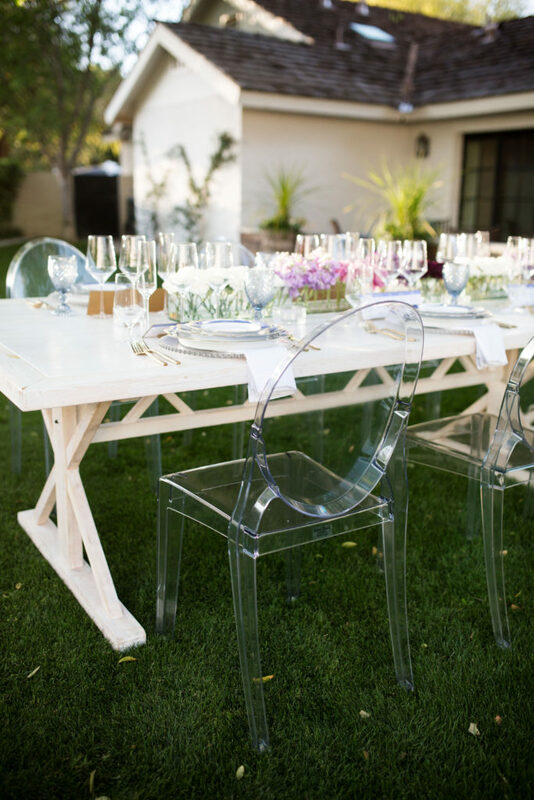 Sleek glassware from Event Rent’s Pure collection paired well with the modern acrylic chairs. We used four wine glasses per setting: one for Champagne, one for white, and two for reds. Matching menu cards were courtesy of Pretty Paper Club. 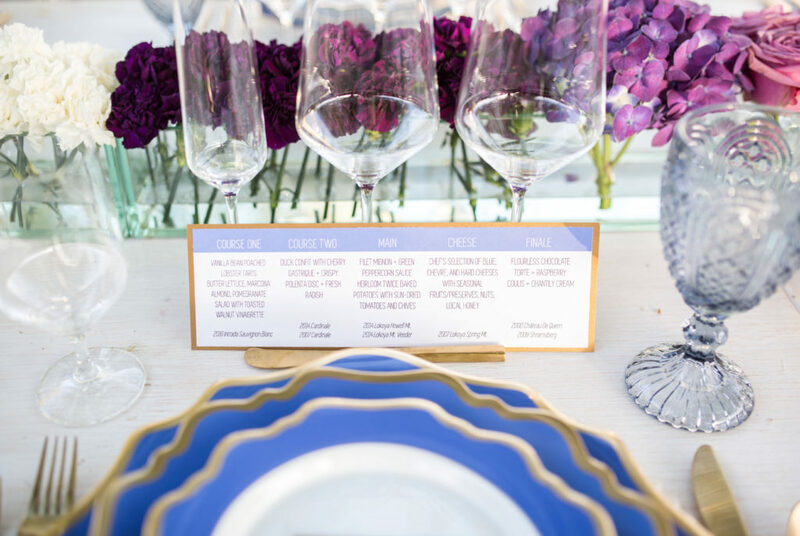 My friend Natalie came up with this unique and creative setup to outline the five courses with the wine pairings we served throughout the night. Clear glass vessels displayed the raw flower stems in all their glory — I love how organic and simple this turned out! You may have guessed that purple was my palette for the evening. 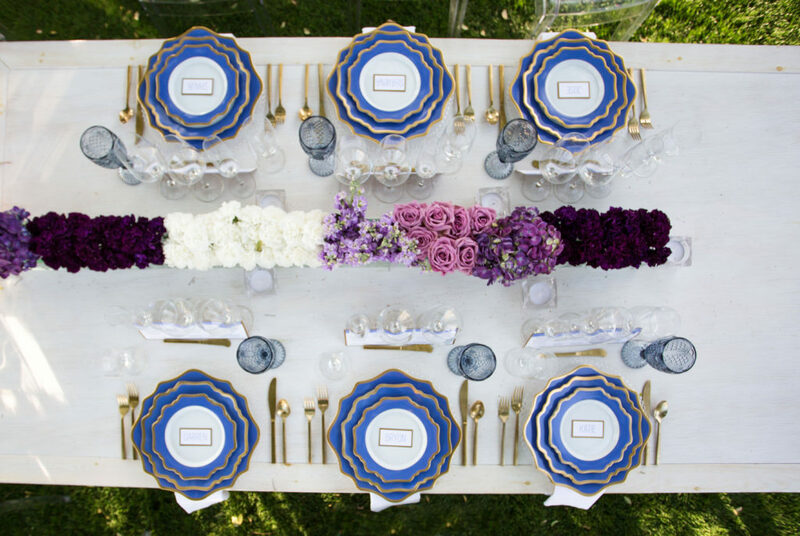 We wanted the florals to reflect that and be elegant, yet dramatic. 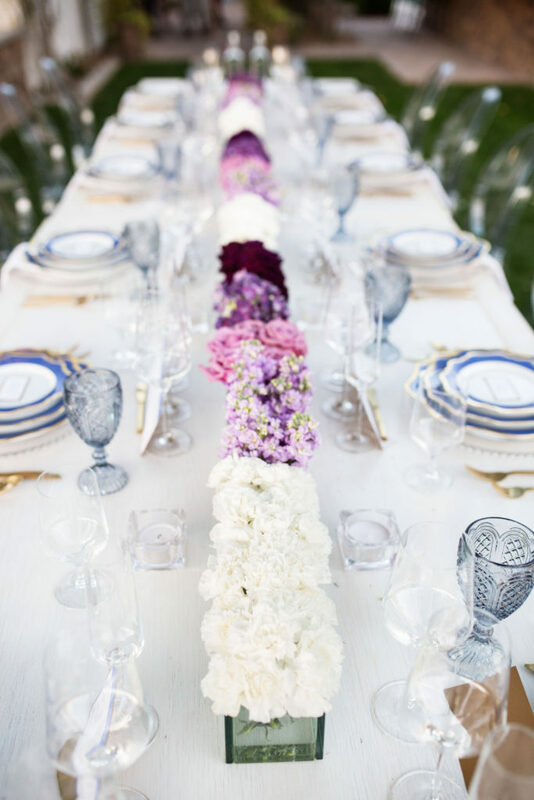 I worked with Jennifer Grant of Petals to create a purple ombré effect down the entire length of the 16-foot table. Stunning! 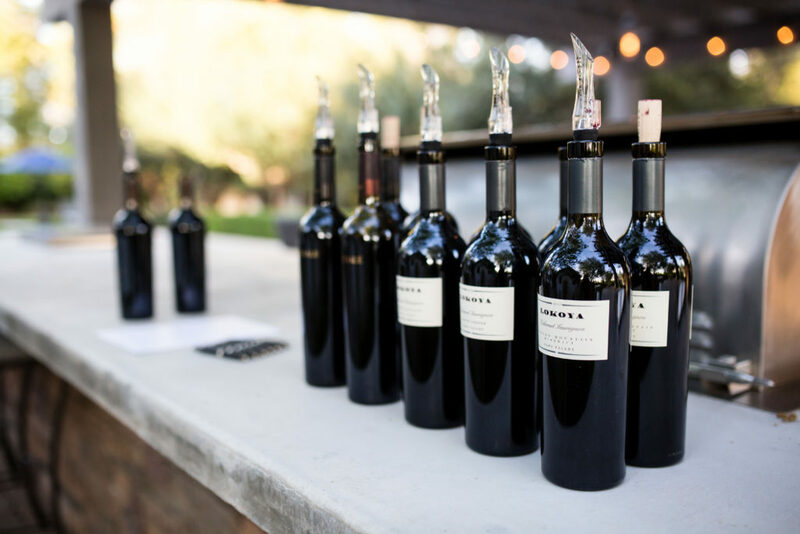 Lokoya wines — ready to be poured! Jose is introducing this wine like you would an old friend. Love their passion! 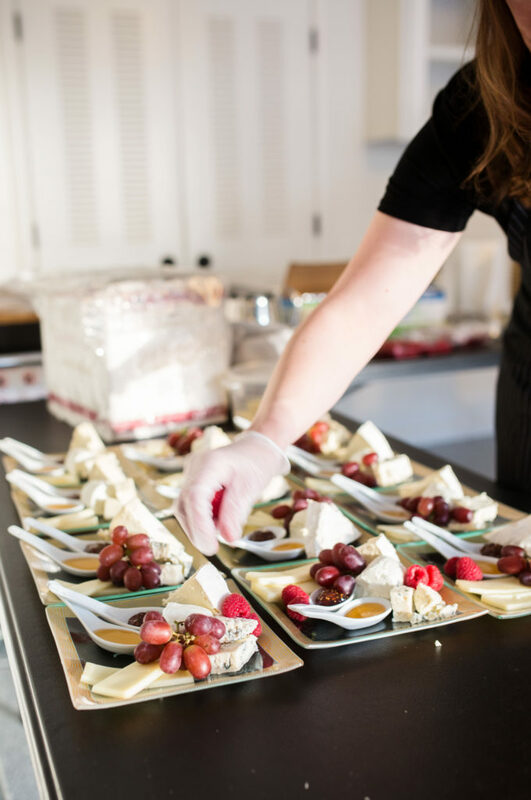 Our caterer for the evening was Fresh From The Kitchen with chef Noelle Salinas at the helm, who prepared a tantalizing menu for us that paired with our wines to a tee! 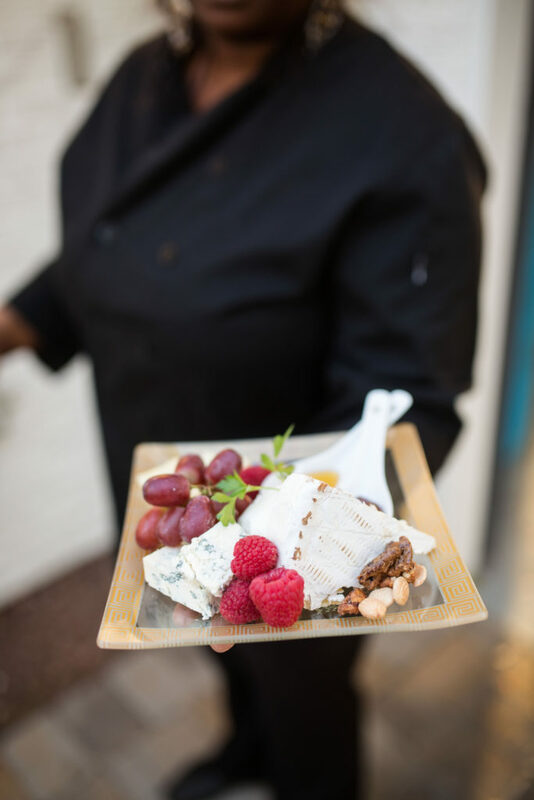 Check out this cheese plate. Unreal! 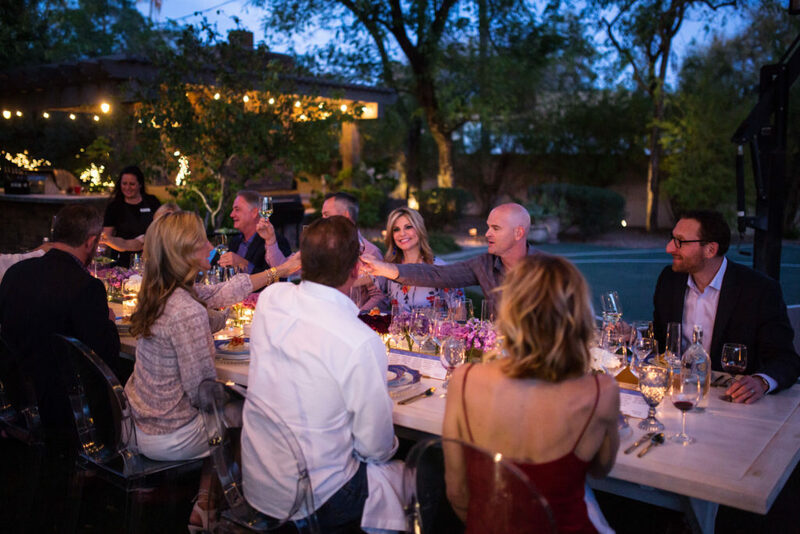 Such a special evening with 10 of our closest friends sharing amazing wines, fabulous food and too much laughing. I can’t wait for the next one!